55, Jalan Penulis U1/42, Hicom-Gleanmarie Industrial Park, 40150 Shah Alam, Selangor, Malaysia. 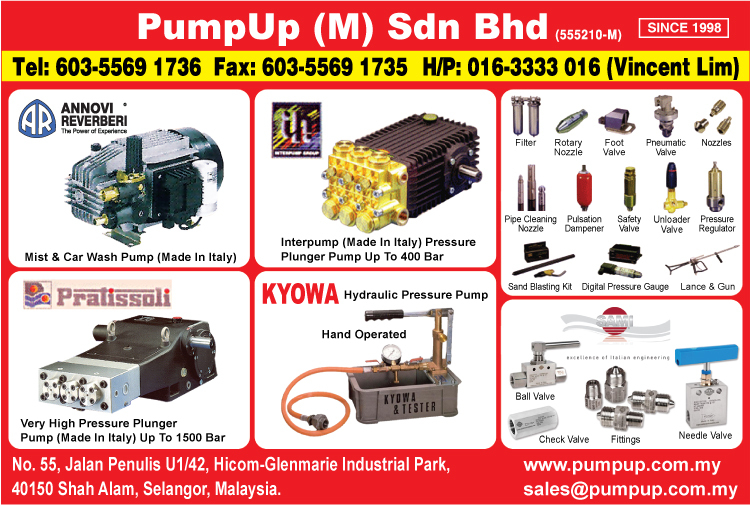 Pumpup (M) Sdn Bhd was established as a leading supplier in machinery industry. 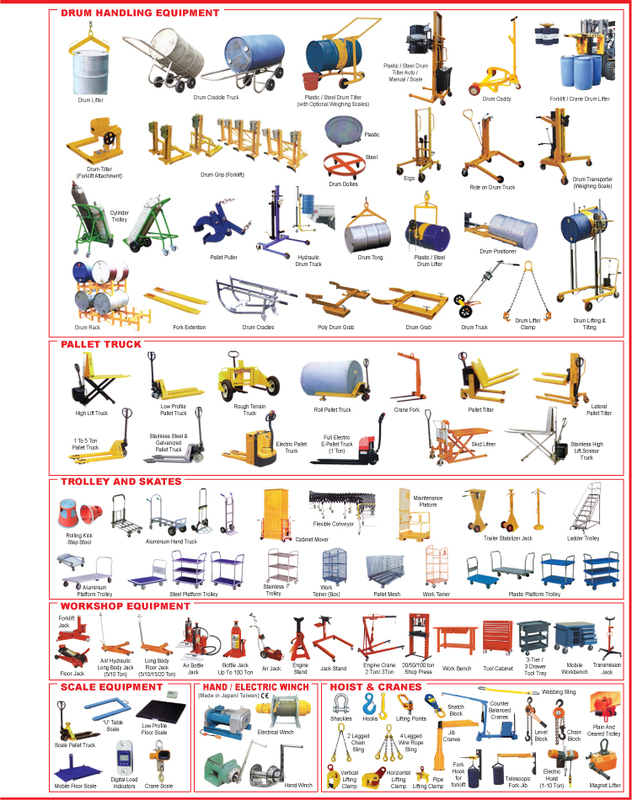 We supply machinery such as pump, cleaning equipments, material handling equipments and many more. We always source the best quality products before supply it to our customers. 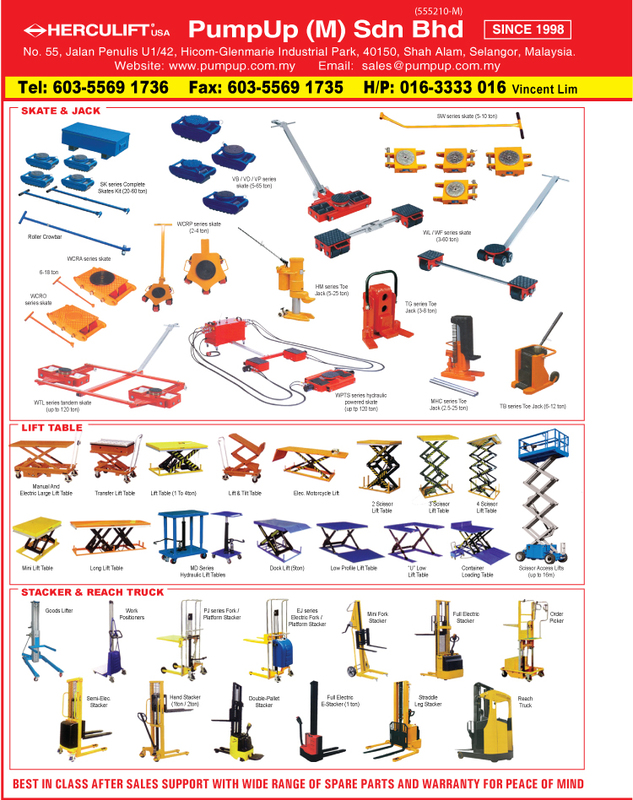 Our price is the most competitive in the market, and our products are all with high standard quality. We always encourage our customer to compare our product before buying it, because we belive our product is very reliable and our price is very affordable.